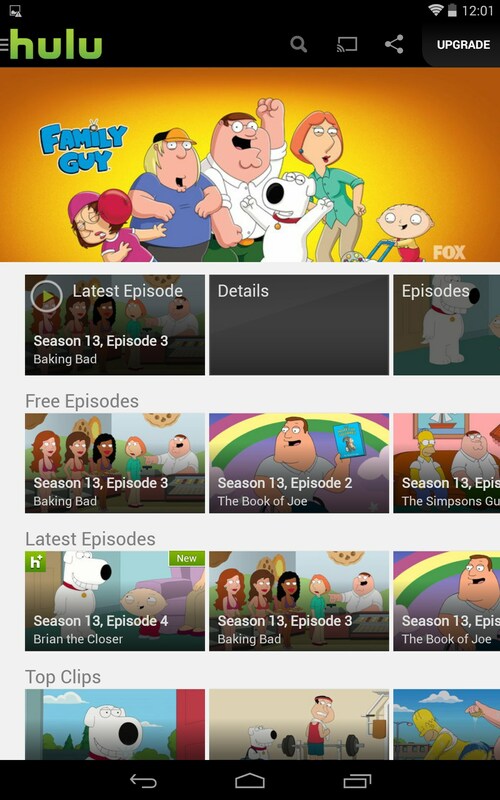 Hulu – Soft for Android 2018 – Free download. 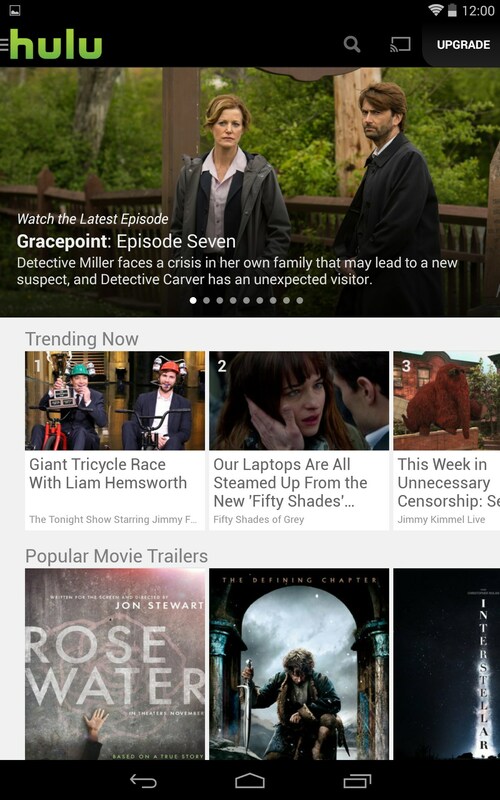 Hulu – Partially free streaming service. 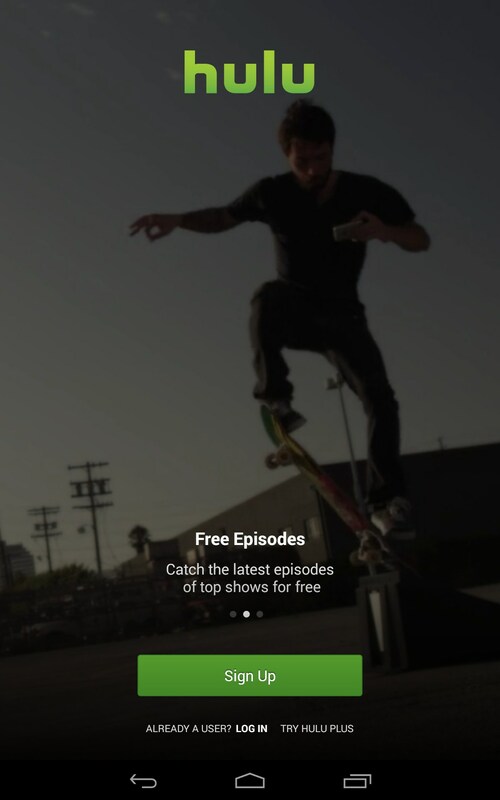 Hulu Plus for Android has been around for just about forever at this point, but in an effort to boost subscriptions they’ve started letting people view a handpicked amount of TV shows and movies to watch completely free. Couple that with their week of free trials and you’ve got yourself a nice week of binging on all your favorite TV shows. 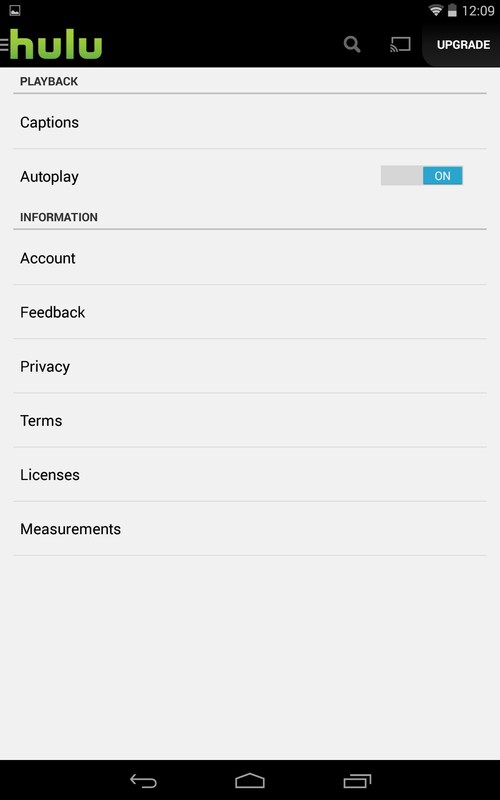 First, about the app. 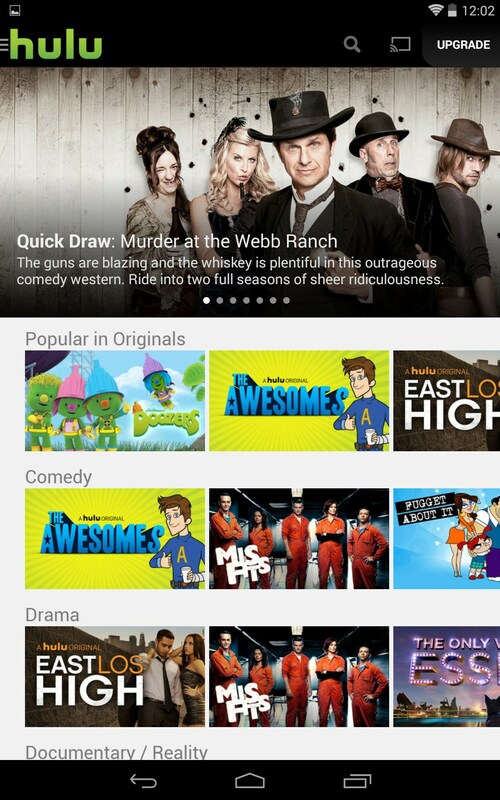 The interface is smooth and is set up similar to just about any other streaming service app. Everything is categorized by genres, what’s popular, what network they’re on, how popular they are, etc…So there is basically no way you won’t be able to find something good to watch. Performance is where the app could use some work. I filled my queue up but was never able to view any of the items I had in there. Other times I would be watching a show and would have issues with stuttering or my screen would just go black after an ad. Oh, and about ads…They exist whether you’re a paying subscriber or not, which I find to be obnoxious. The amount of free content is surprising, and is on par with the free content they’ve pretty much always offered on their website. 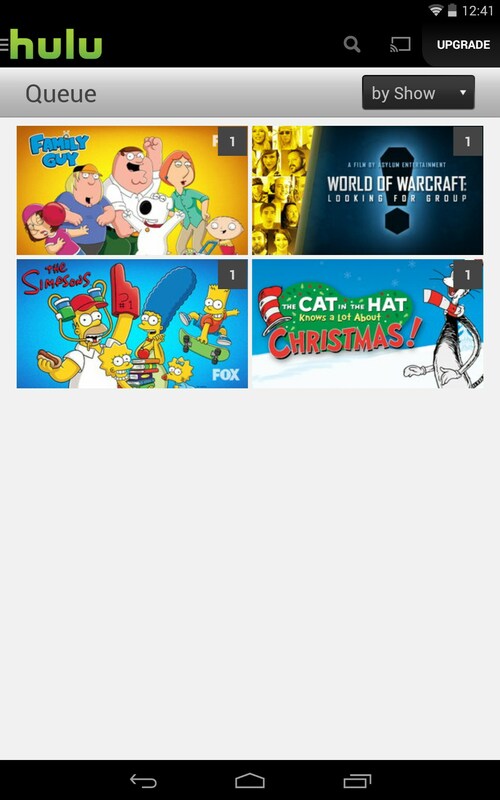 While they have several TV shows to watch for free, they usually only have the newest three episodes up and archive the rest behind the paywall, which I don’t blame them for at all. Hulu Plus could definitely be optimized better. Right now performance can be sluggish and there are technical difficulties that definitely interfere with the viewing experience. That said, the interface is usually smooth, it categorizes content well, and it offers a good amount of content for free. 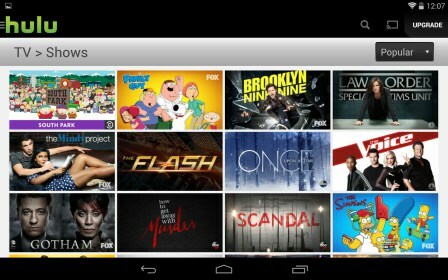 I keep trying to use the Hulu app on my Asus MemoPad, but it crashes without even getting past the welcome screen. 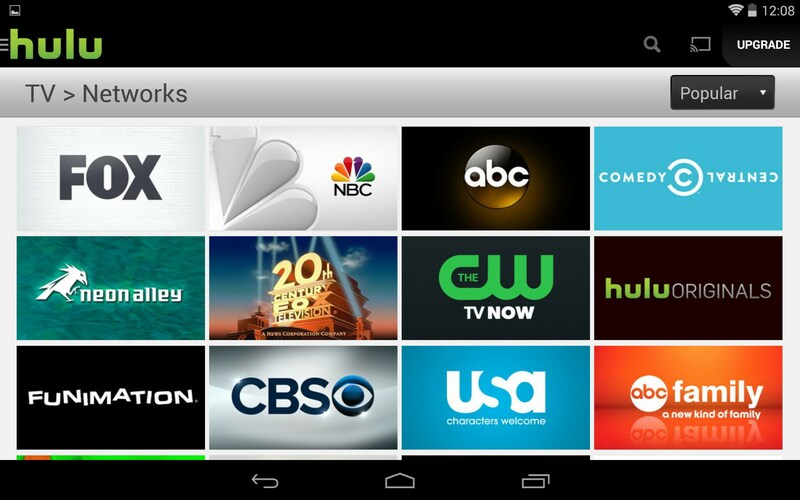 This is the app I use on this tablet the most! Please help! I am not sure specifically why it might be crashing, but have you tried restarting your phone to free up the memory, and closing other stuff etc?